1.01 MB, 1920x1080px, 5.3 secs. 14.71 MB, 1920x1080px, 5.3 secs. 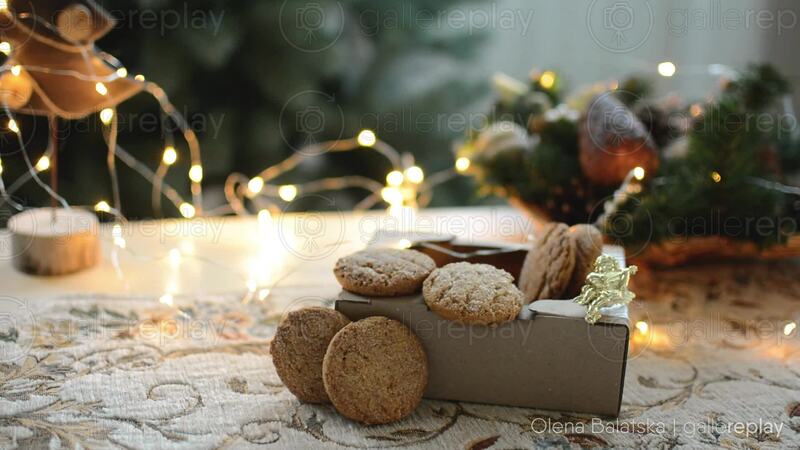 A box of Christmas cookies with a little golden angel lies on a table with a festive looking runner. A string of lights blinks regularly in the background.